MCAT tests, Premed GPA and MCAT Scores are part of the medical school admissions experience. There is also the medical school interview, preparation for the Medical College Admissions Test (MCAT), letters of references, etc. Let's blog about the whole process! Now that you have successfully overcome the academic and MCAT hurdles, you need to take another important step in the admission process - the medical school interview. You might have experienced several interviews in the past and while the questions are basically job related ones, medical school interviews are almost entirely the same - you have to compete with many candidates for the same position and you never know your odds till you are accepted. Being invited to an interview is significant because it tells you that the admission committee thinks you look good on paper and now, they want to know if you would indeed make a good fit to the medical school. On average, one in every three potential candidates for each new class opening will be offered admission. This fact just shows how medical school interviews serve as an important factor in the applicant’s admission. Take note that wearing the perfect outfit can never compensate for a poor interview and definitely will not help you gain acceptance into a medical school. However, the essential thing here is that you take the interview very seriously, which starts from your overall personal presentation. Your clothing and speech can speak more about you and this is how the outside world makes inferences about what you can do whether you may agree or disagree with it. 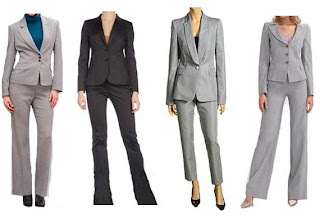 There is only one way to dress for a medical school interview – professionally. 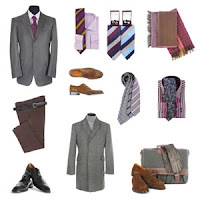 What you wear during the interview will send a message to the interviewer on how serious you are in your goal to be admitted and how much you value their time in choosing you as a candidate among the hundreds or thousands of applicants. Thus, even if you are not a doctor yet, you must appear credible, capable, and professional. Your goal is not to stand out in the crowd but to convey professionalism. A very articulate and personable medical school applicant with excellent grades and MCAT scores will surely have a hard time expressing professionalism with a pair of jeans. Much has been written about this topic elsewhere, so here is a brief summary of what you must wear in a medical school interview. Much of your success at the interview depends on your personal effectiveness and your answers to the questions. For this reason, preparing for your personal attire and your sample answers are all important. To improve your performance, why not engage in practice interviews with individuals who have experienced the medical school interview process. A mock interview will help you identify your weak spots and give you suggestions to better prepare yourself before the big day. Find out everything you need to know about the medical school, their history, reputation and other details. Knowing these things will give them an impression that you are serious in being part of the institution, and that you really took the time to know the school that has invited you for an interview. To see the DVD from a live interview that I conducted, click here: medical school interview. Are MCAT Flashcards helpful for MCAT Review? Free MCAT prep videos for everyone!